According to a production bulletin obtained by TMZ, the rumored standalone Obi-Wan movie in the style of a Star Wars Story is indeed in the works. The bulletin reportedly shows that Stephen Daldry is attached to direct and the movie is set to shoot in London next spring. 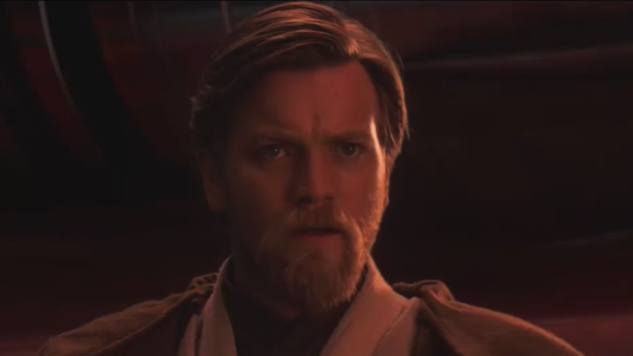 Obi-Wan: A Star Wars Story is also said to be a direct prequel to A New Hope, rather than an origin story: A plot synopsis reveals that the movie takes place on Tatooine with Obi-Wan in full-on hermit mode as he watches over an infant Luke Skywalker from a distance—that is, until Sand People begin causing problems and Old Ben Kenobi is forced out of hiding, and back into his old Jedi self. Not much else is known about the plot at the moment, with the forewarning that this is all unconfirmed, as of now. This rumor is as shaky as rumors get, but, if true, it is great news. Fans have been clamoring for an Obi-Wan spin-off film since Disney acquired the Star Wars license, and, for all of the prequel films’ problems, Ewan McGregor was not one of them. His portrayal of a young Obi-Wan was quite stellar and recasting him as an older Obi-Wan only seems natural, especially since he has publicly expressed an interest in reprising the role. Hopefully, this is the movie that we are looking for.